This course provides practical understanding of brick and flint, traditional methods of construction using these materials, and fundamental skills required for the conservation and repair of traditional brick and flint masonry. Lectures cover traditional brick manufacture and the characteristics of historic bricks, as well as typical defects and decay mechanisms in brick and flint masonry. Practical sessions include survey and recording of brick work and identification of historic brick types. 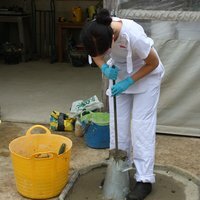 Repair methods and materials, including new brick and lime-based mortars, will be illustrated in lectures, demonstrations and practical sessions. Demonstrations and practical sessions on brickwork cover joint treatment, brick replacement, and mortar (plastic) repair. There is a demonstration of setting out a gauged brickwork arch and participants practice cutting and rubbing bricks in preparation for construction of an arch in the workshop. Flint masonry sessions include demonstration of flint working and practical sessions on construction of flint facework and joint finishes. Examples of brick and flint masonry on the West Dean estate will serve as subjects for study and discussion. A course visit to Chichester provides further opportunity to examine and discuss historic brickwork buildings of a range of dates and styles. Lectures, demonstrations and practical sessions together build an understanding of brick and flint as historic building materials and impart the ability to assess the condition of brick and flint masonry, and to prepare accurate repair schedules and specifications for remedial work. Appropriate repair methods, materials and tools are demonstrated step by step so that participants can apply techniques and understand how to execute remedial work to a high standard. To understand the characteristics of brick and flint used in historic masonry buildings. To develop the ability to assess flint and brickwork condition, to identify brick types and typical defects commonly found in historic masonry. 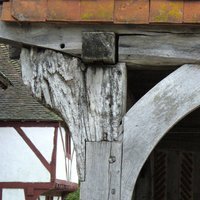 To understand the various materials and techniques used in the repair and conservation of historic brick and flint masonry. To develop the ability to prepare accurate schedules of repair and specifications for remedial work. To develop the skills necessary to carry out remedial work to brick and flint masonry, including joint treatment, mortar (plastic) repairs, brick indents / replacement. 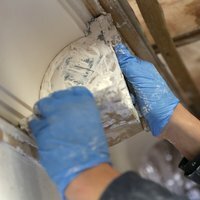 The Professional Development Diploma in Historic Building Conservation and Repair (PDD Building Cons) can be achieved through the successful completion of 10 BCMs and the submission of a final 3,000-word portfolio. For more information about the Diploma please contact the Course Organiser, as above. 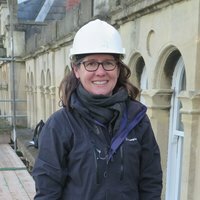 Catherine Woolfitt is an archaeologist, architectural conservator and acts as Subject Leader for the Building Conservation Masterclasses. An accredited member of the Chartered Institute for Archaeologists (CIfA) and of the Institute of Conservation (ICON), she has worked in the conservation of the built heritage since 1993. BCM Course Leader - Emma Simpson is a brick conservator and Principal of Simpson Brickwork Conservation Ltd.